Little, Brown and Company, 9780316560238, 624pp. 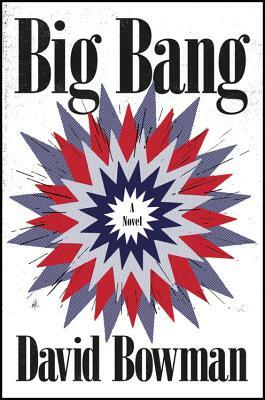 Set in the 1950's, this epic, Warholian novel presents a brilliant and wholly original take on the years leading up to the Kennedy assassination. Where were you when you first heard President Kennedy had been shot? This is a question most people can answer, even if the answer is "I wasn't born yet." In this epic novel, David Bowman makes the strong case that the shooting on November 22nd, 1963 was the major, defining turning point that catapulted the world into an entirely new stratosphere. It was the second big bang. In this hilarious, lightning-fast historical novel, Bowman follows the most famous couples of the decade as their lives are torn apart by post-war's new normal. We see Lucille Ball's bizarre interrogation by the House UnAmerican Activities Committee and Jackie Onassis' moonlight cruise with Frank Sinatra . We follow Norman Mailer and Arthur Miller as they attempt to get quickie divorces together at a loophole resort in Nevada and watch a young Howard Hunt snoop around South America with the newly founded CIA. A young Jimi Hendrix, now the epitome of counterculture cool, tries his luck as a clean cut army recruit. Born in Racine, Wisconsin on December 8, 1957, David Bowman's interest in writing first emerged while studying music at the Interlochen Arts Academy High School. He briefly attended Putney College in Vermont, before moving to New York to write while working as a bartender and as a clerk at a bookstore. His works include Let the Dog Drive, Bunny Modern, and This Must Be the Place. He died from a cerebral hemorrhage in 2012 at the age of 54.